What if I tell you that there is one trace mineral that can boost your brain health and put all brain ailments at bay? Or how about enhancing your immunity big time? I am talking about copper. Though not discussed much, this mineral makes your life better in several ways. And in this post, we’ll look at all of them – the benefits of copper you must know. Just keep reading. What Are The Signs Of Copper Deficiency? 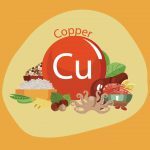 What Are The Foods Rich In Copper? What Are The Side Effects Of Excess Copper? There are quite a number of ways copper can benefit you. The first of them is it provides energy to the brain and improves the functioning of the nervous system. It also helps in the production of red blood cells – it aids the process and boosts your immunity. It achieves this along with iron. 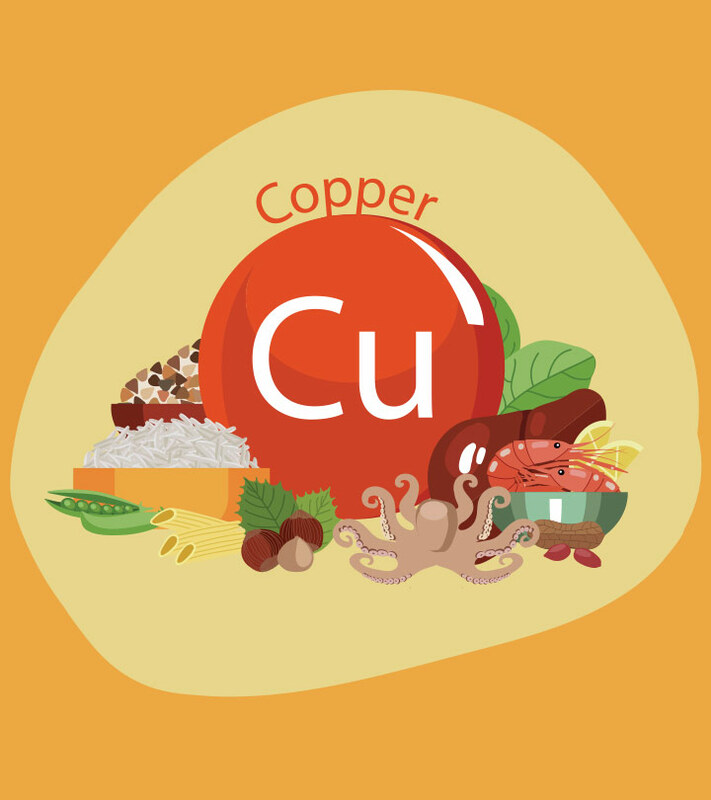 Copper also contributes to the health of bones, nerves, and even promotes iron absorption (offering an entirely different set of benefits) in a way. Well, there’s more. Why don’t you just check them out? Copper is one important ingredient of enzymes that activate the brain’s neurotransmitters. New research indicates that adequate copper levels are essential to brain health. The brain takes in 20 percent of the oxygen you inhale. And since most copper in the body is found in the brain, the organ sure needs adequate copper (1). Neurodegeneration in adults is often linked to an imbalance in copper levels. Also, a couple of the symptoms of copper deficiency are the inability to concentrate and poor mood. Copper contributes to bone mineral density, and low levels of the mineral can lead to osteoporosis (2). It also plays a role in collagen health, which is an important structural component in our bodies. Insufficient copper can lead to depletion of collagen, and this eventually results in joint dysfunction. The anti-inflammatory properties of copper can also ease arthritis pain. And, by the way, there are some claims going on about copper bracelets and how they can treat joint pains. Proponents claim that the anti-inflammatory properties of the copper in the bracelet can get transferred to the body upon contact. Let me tell you that there is no research to support this claim (3). As we discussed earlier, copper, along with iron, helps in the production of red blood cells. This builds your immunity. 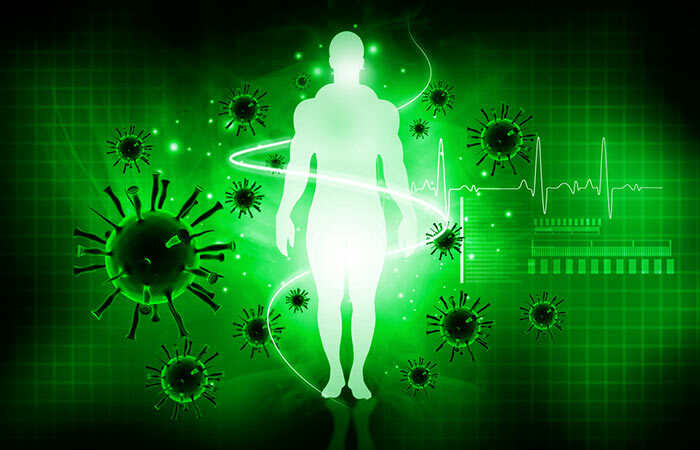 Deficiency in copper can lead to neutropenia, which is a lower amount of white blood cells – and research says this condition can cause one to fall ill more often. These effects are more pronounced in infants, which is why they need to have sufficient copper levels more than anyone else (4). Copper supports over 50 enzymatic reactions that take place in your body on a daily basis. This supports a healthy metabolism. The mineral also plays a role in the synthesis of ATP, or adenosine triphosphate – which is the body’s source of energy. Which is why deficiency of copper can lead to a sluggish metabolism. Copper deficiency, unfortunately, is quite common in third world countries and is quite visible in children – where kids suffer from stunted growth and other developmental complications. This is because copper deficiency can affect joint and bone development and even the development of the brain. Additionally, copper is also required for the oxygenation of red blood cells – and low levels of the mineral can mean your organs do not receive adequate levels of oxygen. 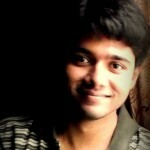 This can lead to developmental issues. Studies show that deficiency in copper can also delay growth in infants. Copper works with potassium, zinc, calcium, and potassium (essential nutrients for thyroid health) and promotes thyroid health. As a result, it can help prevent conditions like hypothyroidism or hyperthyroidism. Studies suggest that how the metabolism of copper is essential to prevent or manage thyroid disease (5). Studies show that copper is as important to anti-aging as retinol and alpha hydroxy acids. And then, there are copper peptides, a copper complex that can reduce inflammation and keep the skin looking younger and fresher. Since copper helps build collagen, and since collagen is also important to maintain skin elasticity, it should be safe to say that copper can improve skin firmness and reduce wrinkles. Studies also state that copper stabilizes skin proteins, improving the overall skin health (6). It also helps in the production of melanin, which is the pigment that protects your skin from UV radiation. Copper peptides are also known to increase the size of the hair follicles and subsequently stop hair thinning. And since copper helps in the production of melanin, it can even prevent premature graying of hair. These are the benefits of copper. These tell us how important the trace mineral is, don’t they? Inadequate levels of this mineral can lead to complications. Let’s see what they are. The only way to prevent copper deficiency is by ensuring you take enough it. Which takes us to the next section. Beef liver – 3 oz contains 4.49 mg, which meets 641% of the RDA. Mushrooms (shitake) – 1 cup (cooked) contains 1.29 mg, which meets 184% of the RDA. Cashews – 1 oz contains 0.62 mg, which meets 88% of the RDA. Kale – 2 cups (raw) contain 0.48 mg, which meets 68% of the RDA. Cocoa powder – 1 tablespoon (unsweetened) contains 0.41 mg, which meets 58% of the RDA. Almonds – 1 oz contains 0.29 mg, which meets 41% of the RDA. Avocado – ½ fruit contains 0.12 mg, which meets 17% of the RDA. All good. But do you know that excess copper in your body can cause issues? Taking copper in higher doses during pregnancy and breastfeeding can be unsafe. Pregnant women above 19 years of age must take no more than 10 mg of copper a day. Excess copper levels in the body can lead to copper toxicity, which can affect the major organs of the body. Headache, dizziness, weakness, liver cirrhosis, and jaundice. Excess copper, especially in the supplemental form, can interact with birth control pills, NSAIDs like aspirin and ibuprofen, penicillamine, allopurinol, and other zinc supplements. It could be a trace mineral, but it sure does benefit you in several ways, doesn’t it? So, why don’t you start by including more of the foods rich in copper? And why don’t you leave a comment below? Let us know how this post has helped you. 1. “Copper on the brain at rest”. ScienceDaily. 2. “Mechanisms for copper acquisition…”. US National Library of Medicine. 3. “Copper bracelets and magnetic wrist…”. US National Library of Medicine. 4. “Copper”. Oregon State University. 5. “Zinc, copper, manganese…”. US National Library of Medicine. 6. “Using copper to improve the…”. US National Library of Medicine.